Tired of using the same old font forever? There are some people who tend to stick with the same old font for years. However, it is always a good thing to shake things up a bit every now and then. This is especially true if the font you have been using forever does not match the new theme that you are planning to implement in your blog. More so, if your favorite font is not really user friendly, you really have no choice but to use something else that will help your reader. Now that’s only one group. There are people who just can’t get enough of fonts! Designers, of course, need to have a wide array of fonts at their disposal. And, even if you’re not a designer, you can never really have enough fonts to play with anyway. If you belong to the second group, here’s something that just might make you feel like a little kid in a candy store: FontPark. This web site has more than 70,000 fonts that you can use. Yes, that’s 70,000 fonts that anyone can download and use. The best part? All 70,000++ fonts are free to download and use. Whether you are going to use the fonts for personal or commercial purposes, you don’t have to pay! 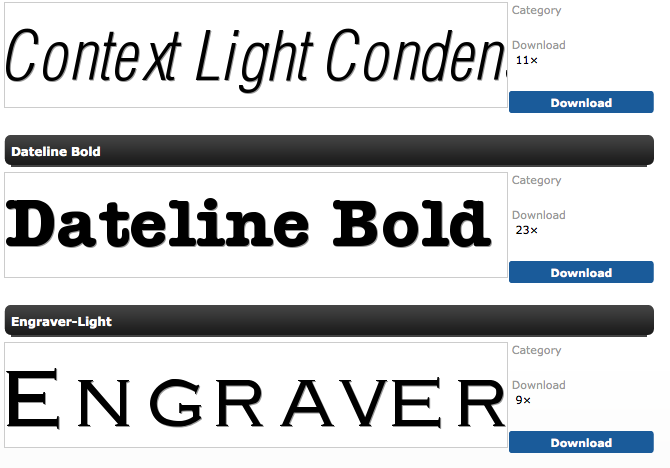 There are actually a lot of other sites from which you can download fonts. Of course, some of the best sites will charge you to download their fonts. In most of these web sites, you will be able to find fonts for free as well, but for the most part, you will have to pay for the nicer fonts. I suppose that’s the biggest advantage of FontPark. It is easy enough to navigate, like many other font sites. You can browse the collection alphabetically or by category. Alternatively, you can do a search of your own. Oh, and the fonts are not all letters – you can find all sorts of interesting characters as well. You can preview each font so that you can see exactly what it looks like. More so, the fonts can be used for PC, Max, and Linux. I know now where I am going to go if I need to change my routine a bit! You do need to be careful when using new fonts to shake things up a bit. Some fonts are not great from a readability point of view and if you go too far playing with fonts, it’s easy to have your page left looking like a car crash. I always like to look for font sets that complement each other from a graphic design perspective. MS Publisher has such sets, athough I don’t use Publisher for actually publishing anything. A quick search across the web will also let you find some advice on what fonts to use together to avoid the car crash feel.